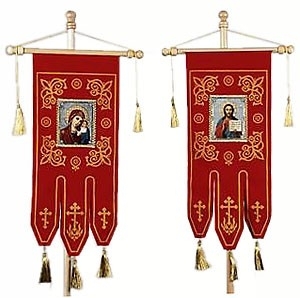 Traditional Orthodox church banners. Wool, imprint. Size: 13.8''x27.6'' (35x70 cm). A set of 2 items.